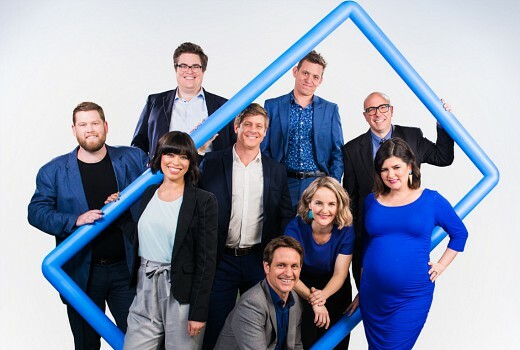 ABC has axed consumer affairs show The Checkout due to budget cuts and high production costs. It comes after 6 seasons for the Giant Dwarf-produced show, just days after its nomination in Logies Most Popular Lifestyle Program. 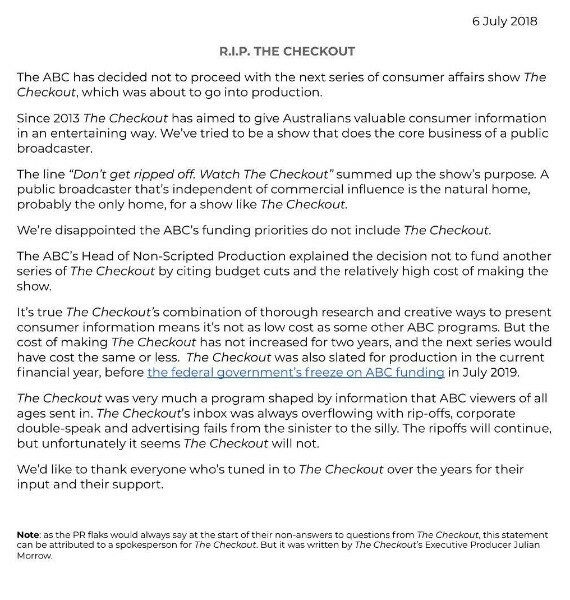 A statement from Executive Producer Julian Morrow indicated, “It’s true The Checkout’s combination of thorough research and creative ways to present consumer information means it’s not as low cost as some other ABC programs. But the cost of making the program has not increased for two years, and the next series would have cost the same or less. In 2015 then-ABC Programmer Brendan Dahill told TV Tonight, “When you look at what boxes does a public service show need to tick − inform, educate and entertain − I think The Checkout does all of those in spades. I learnt so much from this show. Probably why it was axed. Big business wants to keep us in the dark. The TV series Catalyst was also gagged. The Checkout should be compulsory viewing in schools. It’s shocking how many people don’t know their consumer rights. If we had better education in schools, we wouldn’t need shows like this. Needed to make more room for shows that pander to minority groups. Shows that have generic appeal for all demographics are having to make way. That’s a shame – it was one of the few shows I watched on the ABC and it actually saved me money this year when my dishwasher needed repair and the retailer refused to do it because it was a few months out of warranty. I mentioned the Consumer Law I’d learned from the Checkout and they suddenly changed their tune and repaired it for free.